I spotted a new design today and I like it much more. 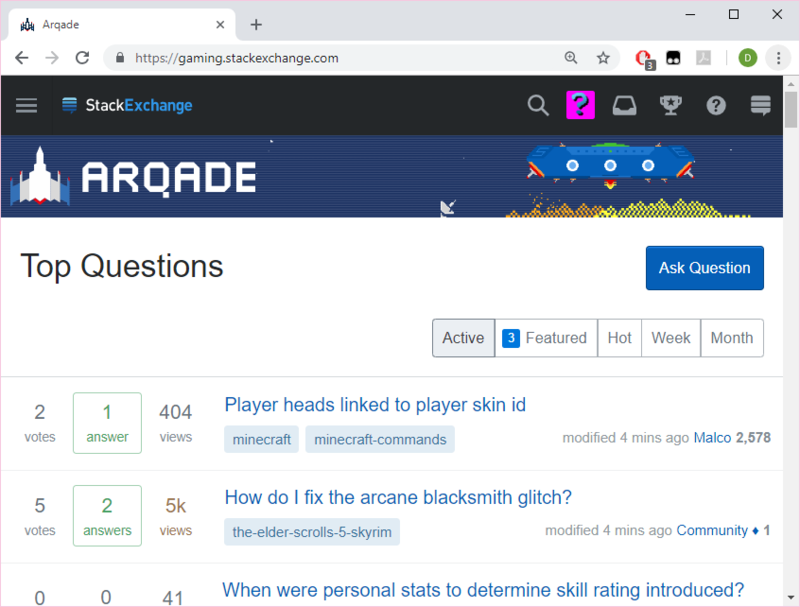 If I arrive to site using direct link https://gaming.stackexchange.com or using "my community" item (preferred way for me, I prefer to have StackOverflow bookmarked and visit other StackExchange communities from it) then it shows active questions. And there is a missing button "Newest" which will only appears if I chose "Questions" from left navigation panel. Before the change of design the button "New" was there and I could click it immediately. Now it's not and I have to additionally open side navigation and click something there. 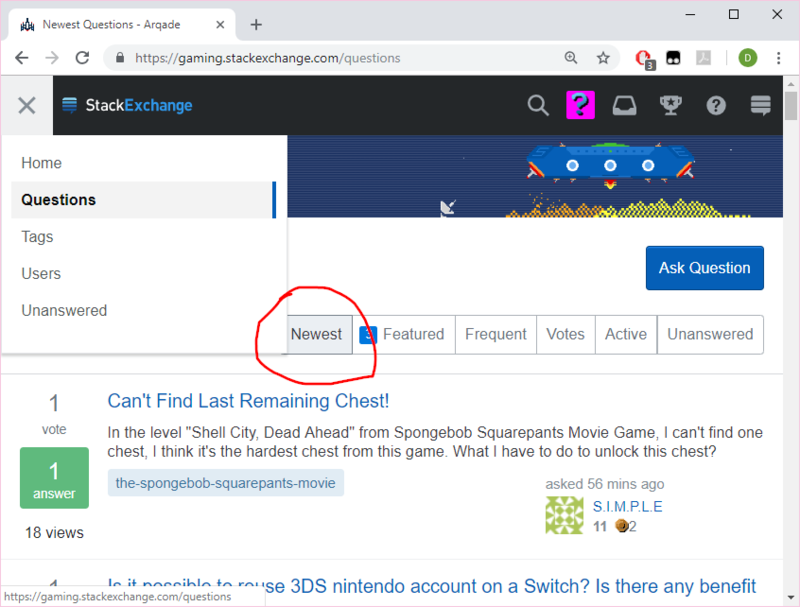 Notice the address, clicking "Active" button on second screenshot will go to https://gaming.stackexchange.com/questions?sort=active which shows both button too. Is it a bug or a feature I don't understand? Can someone explain me why there are two different pages and why we need such a difference? The left nav change only moved everything (except for the badges tab) to the left sidebar, so it works the same as before (at least on this site, without having custom question lists enabled). You can verify how the old site worked by going to the Archive.org saved copy of the old site. The only difference is now the navigation hides from you if your window is too small or you change that preference. Everything is working as intended. Anyway, here's an explanation of what's happening. 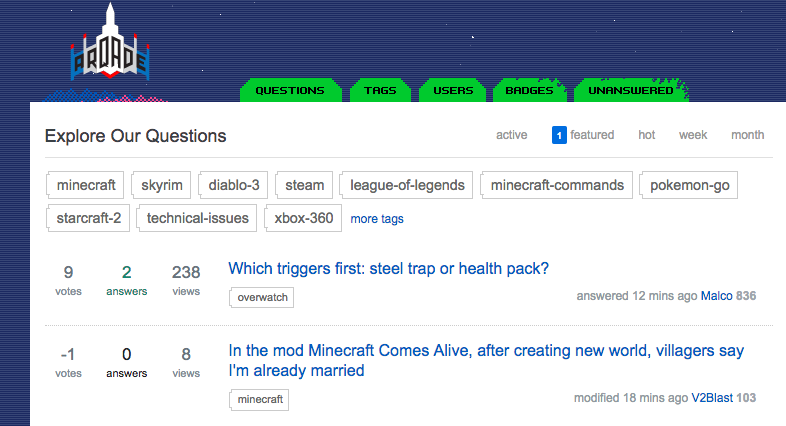 There are three different lists of questions in the sidebar (Home, Questions, Unanswered), each of which have tabs. Home filters out low scoring questions, Unanswered only shows unanswered questions, and Questions isn't filtered. Therefore, even tabs with the same name (e.g. Home: active vs. Questions: active) show a different list of questions. It's all confusing, but you probably didn't realize you should be confused until now. Can questions be interleaved “newest” and “bumped” in the queue? How can I improve upon content in my question? What's up with this 'R' button functionality? Are there hidden grammar rules I'm missing when posting? What happened to the alien-space-ship button?